Dr Imran Nawaz graduated with his medical degree from the National University of Singapore in 1982. He embarked on a surgical career and received training at the Singapore General Hospital. After he completed his training, he was admitted as a fellow to the Royal Colleges of Surgeons of both Edinburgh and Glasgow in 1987. Upon his return to Singapore, Dr Nawaz pioneered the development of vascular surgery as a specialty. In 1990, he was the first to be awarded the Singapore Government’s Health Manpower Development Plan Fellowship for Vascular surgery and was trained at St Vincent's Hospital in Sydney, Australia. Since then Dr Nawaz has done extensive work in the field of Vascular surgery, and developed special interest in the treatment of varicose veins and related problems. Dr Nawaz has written and lectured widely on this topic and is an active member of the international society of Cardio Vascular surgeons and the Singapore Vascular Society. 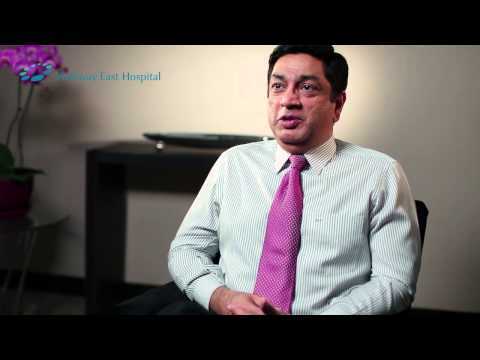 Dr Nawaz set up his private practice in 1995 and has since introduced many new techniques and technologies to further the treatment of venous disorders locally including being the first to introduce and use Endovenous Laser Therapy (EVLT) in Singapore.